To succeed in China requires a fundamental shift in perception and a flexible attitude in approaching paradoxes. In essence, this necessitates agile thinking. For many companies, the historical development of China has held abundant promises – some people were even talking about a gold rush. But today several conditions are making life more difficult. China is trying to find the “new” normal, shifting gear from high speed to medium-to-high speed growth. The market is rapidly bifurcating between a still large (but less affluent) mass market and a new, even bigger group of upper-middle-class consumers. The people in this more affluent segment enjoy household incomes between 106,000 and 229,000 Renminbi ($16,000 to $34,000) a year. By 2022, McKinsey estimates, the upper middle class will account for 54% of urban households and 56% of urban private consumption.1 The mass middle will dwindle to 22% of urban households. The evolution of the middle class means that sophisticated and seasoned shoppers – those able and willing to pay a premium for quality goods – will soon emerge as the dominant purchasing force. Chinese citizens are moving beyond being able to only afford the basics of life, and their discretionary spending is taking off. However, understanding Chinese consumers is going far beyond drawing a one-dimensional picture of luxury addicts. Companies need to understand the multifaceted nature of the Chinese people, including the many faces that often remain hidden to the West, if they do not want to stagger out of the People’s Republic – battered, confused, and defeated. While the Chinese market is still interesting to foreign investors, competition has intensified, and profits are shrinking as a result of the economy’s slowdown. Of course, the path to success has never been straightforward and there is no defined formula for unlocking the Chinese market. Companies that have been successful in meeting their goals are usually those with a thorough and in-depth market and resource analysis, a clear understanding of entry mode choices, consumer behaviour and the need for an adaptive strategy. They are nimble enough to respond to changes in the fluctuating environment and innovative enough to approach China differently. They do not expect to use the same business strategy that had worked in their home markets, or from any other emerging market, even should that strategy be tried and proven. However, even powerful companies that had gone confidently into the China market failed. To a large part, difficulties arise from cultural differences, requiring foreigners to learn about the cultural gaps between the East and the West. Indeed, expanding to China requires deep insights into cultural traditions and their impact on consumer psychology. One of the major challenges is the relationship-oriented culture, the Guanxi, which derives its meaning from Confucianism. Guanxi can be defined as an informal, particularistic personal connection between two individuals who are bounded by an implicit psychological contract to follow the social norms, such as maintaining a long-term relationship, mutual commitment, loyalty, and obligation.2 Apart from anything else, these relations account for stable (business) contacts. What makes the country even more challenging is that society is constantly evolving with traditional values co-existing with modern influences. While there is a belief among the middle class that they can transform lives and engage with society for material and social benefit, this doesn’t mean that China’s middle class is becoming more Westernised and materialistic; rather, consumer spending is seen as a tool for social achievement.3 This is important to know, because purchasing behaviour is influenced by how much items can be displayed to show and share the wealth the buyer has acquired. Luxury products are bought as a means to an end; they incorporate cultural aspirations, together with the desire for status, image, and self-representation. In contrast, home consumption builds on purchase preferences that are often diametrically opposed. Naturally, this has several consequences for companies operating in China because they have to understand that even a single consumer’s behaviour can be built on two opposing thoughts or propositions which, however contradictory, are equally necessary to convey a more imposing, illuminating, life-related or provocative insight into truth than either fact can muster in its own right. In order to learn about these paradoxical challenges, deeper insight into the Chinese mind and the cultural heritage is required. 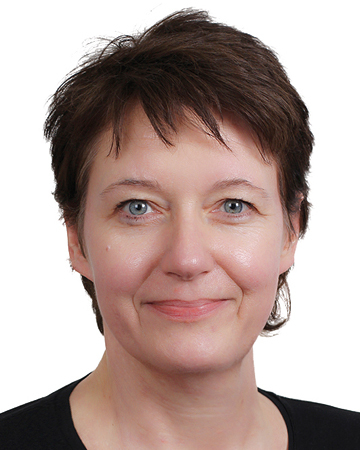 Christiane PRANGE is a Professor of Global Strategy at Tongji University, Shanghai and Director of the AgileVentureLab (consulting in ambiguous and unpredictable environments). She holds a Ph.D. in Management Studies (Switzerland) and obtained further training from Harvard Business School. She has advised multinational companies and has acted as an executive coach. 2. Chen, X., & Chen, C. (2004). On the intricacies of the Chinese guanxi: A process model of guanxi development. Asia Pacific Journal of Management, 21(3), 305–324. 3. Prange, C. (2016). Market Entry in China. Case Studies on Strategy, Marketing, and Branding. New York: Springer International. 4. Faure, G. O. (2003). New values in a changing society. Euro China Forum. http://www.ceibs.edu/ase/Documents/EuroChinaForum/faure.htm [Accessed March 12, 2015]. 5. Collins, J.C. & Porras. J.I. (1994). Built to Last : Successful Habits of Visionary Companies. New York: Harper Collins.